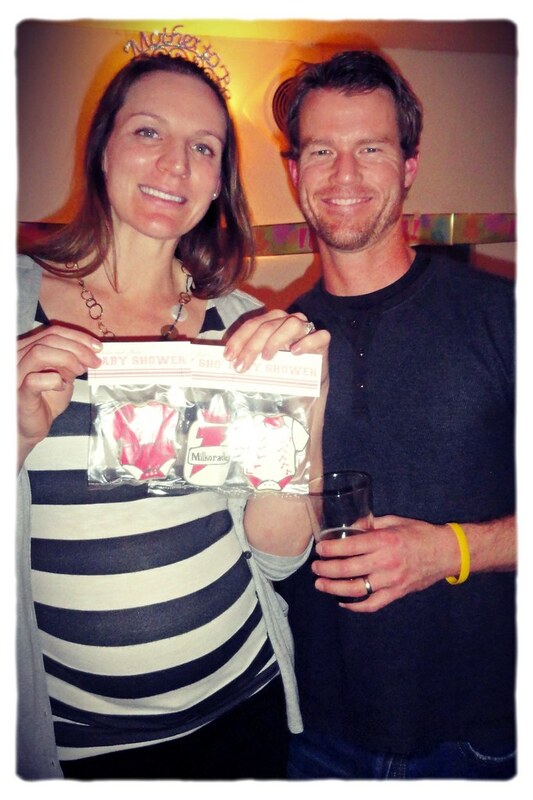 A Sporty Girl Baby Shower...at a Bar! "This ain't your mama's baby shower." This was a baby shower thrown by good friends hosted....at a bar. 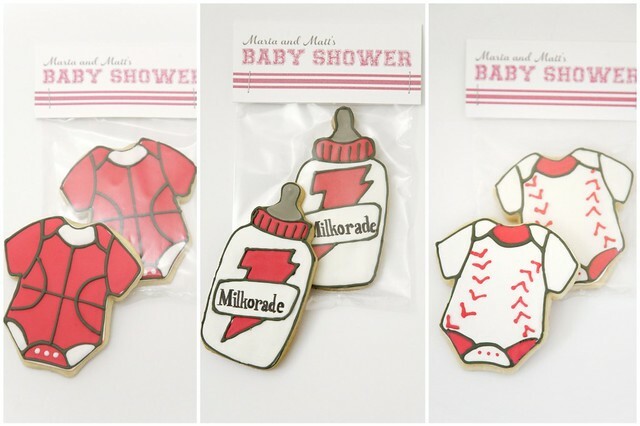 The mom to be is a basketball coach and the dad to be is a former baseball player...so it's no surprise the theme of these baby shower cookies was sports-related. The extra fun part was that they are expecting a baby girl so I got to use some hot pink icing! (I figured why go with baby pink at this point? The girls planning the shower were clearly already thinking out of the box, so I jumped on board.) 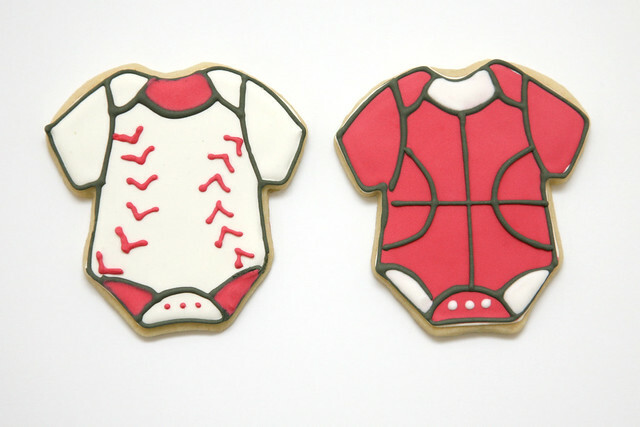 I did basketball and baseball onesie cookies in hot pink, slate gray, and white. 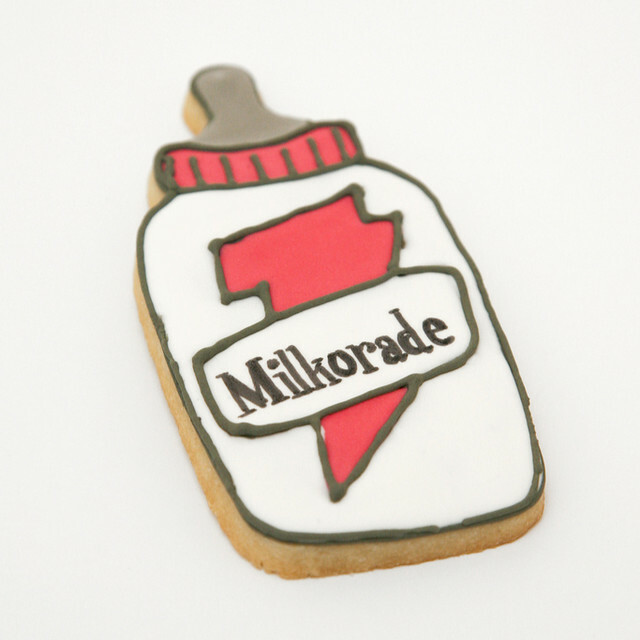 The I did baby bottles with a Gatorade sports drink twist...Milkorade! Oh, I also did one random extra... Just for fun. And gave Marta a special straw to spice up her non-alcoholic cocktail. I liked they way they all worked together. 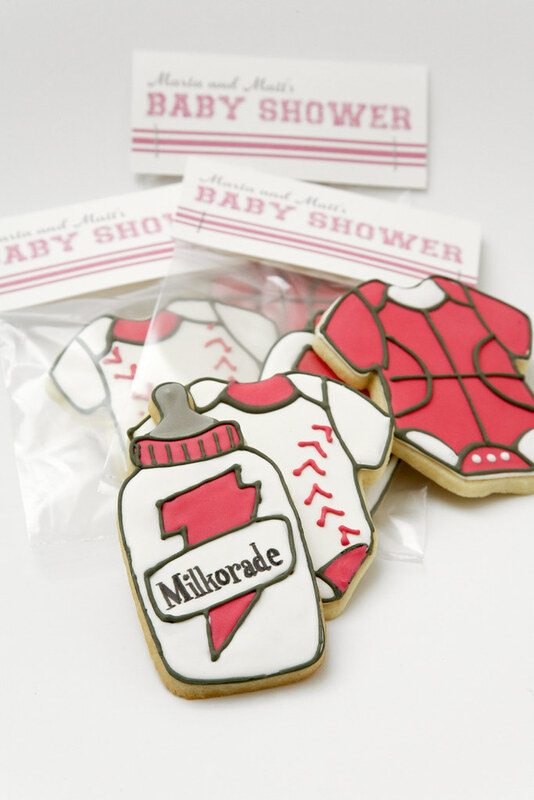 I designed sporty little labels for the cookies. I used a font that was almost collegiate, but had a little hand-drawn aspect to it so it seemed kind of playful and cutesy. I did the three pink stripes to make it look like a tube sock! Sorry, I'm still excited about it. Mostly because I love tube socks. 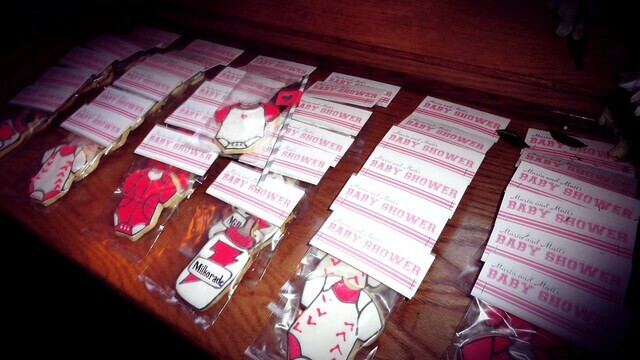 Rachel was awesome and shared some pictures from the shower with me! 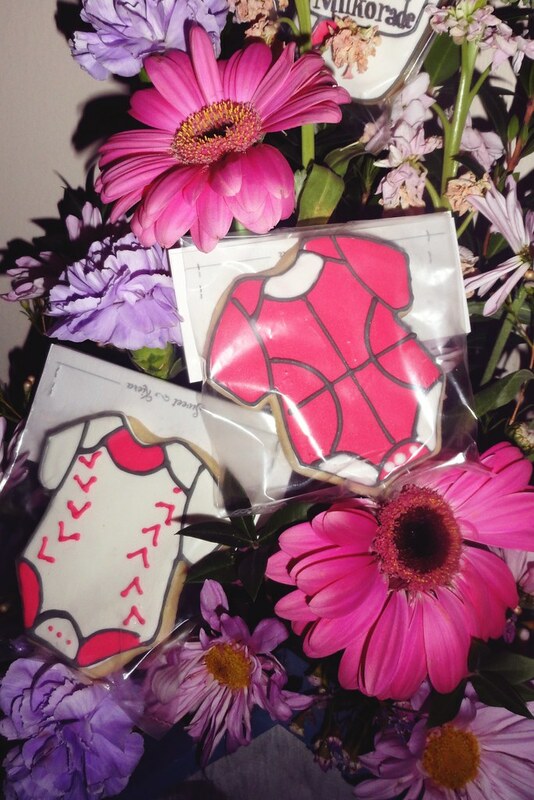 I confess I secretly love seeing photos of my cookies at an actual event. Is that vain? Voyeuristic? Or is it just healthy closure? I don't know, but it makes me happy. So thank you, Rachel! Bonus points for a picture of the SHOTS they served in miniature baby bottles. Awesome. Congrats to Marta and Matt and Thanks Rach for everything!